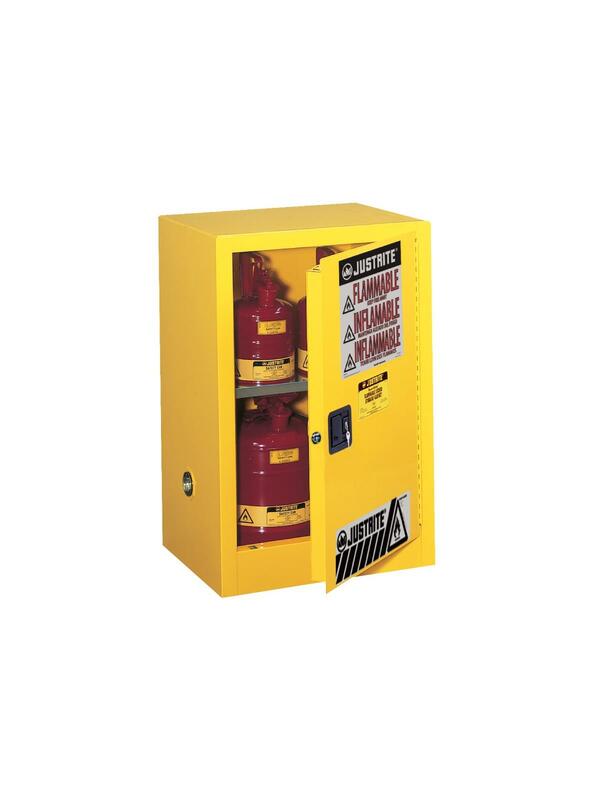 Conveniently-sized cabinet safely holds up to 15 gallons of flammable or combustible liquids. 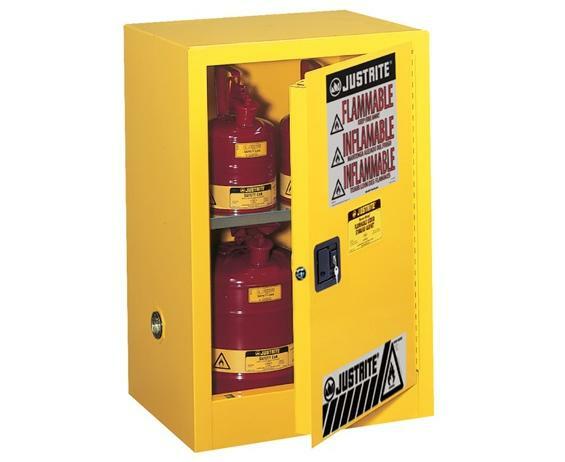 Ideal under a counter or as a stand-alone. FM approved.